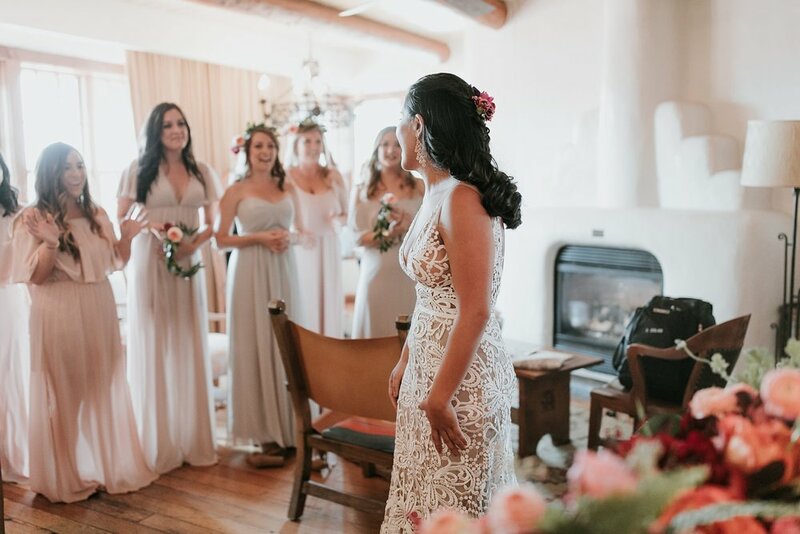 This June we were lucky enough to kick off our summer wedding season with Chris and Alexa's bright, Southwestern destination wedding at La Fonda on the Plaza. 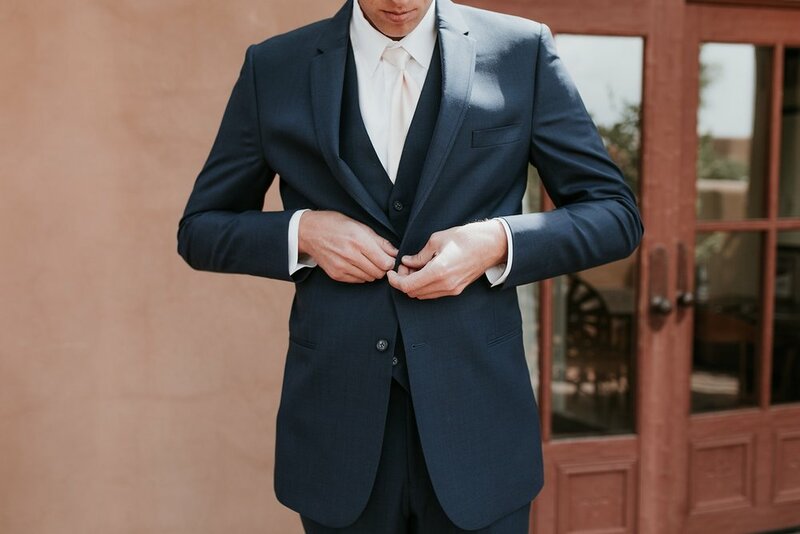 These lovers brought the party all the way from Houston, TX for an absolutely unforgettable day filled with bold wedding colors, a unique vintage wedding ring that belonged to the groom's grandmother, and the most divine crocheted wedding gown from Made With Love Bridal. From first look tears to a mariachi-led procession around the ever enchanting Santa Fe Plaza to a film-worthy sparkler send-off, Chris and Alexa set the expectations soooo freaking high!!! Huge congrats to the Heffrons, we were beyond thrilled to help you celebrate the beginning of your marriage in our gorgeous state of New Mexico!! !